Corey Taylor is getting ready for his acting debut. Er, well, his scream is. 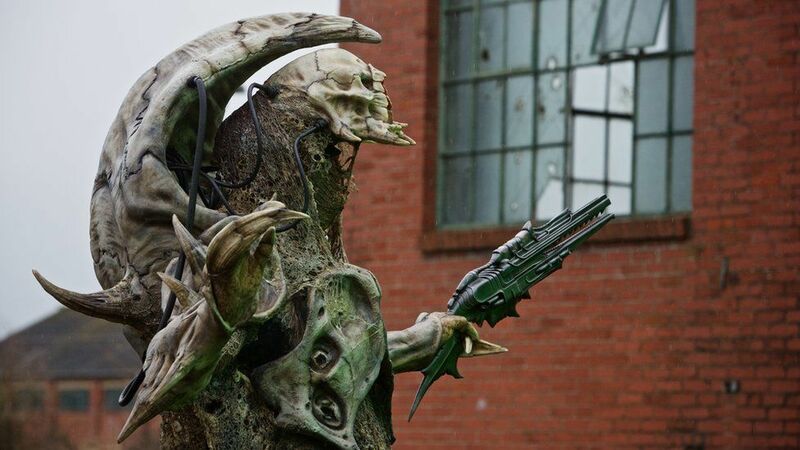 The Slipknot singer will appear on an upcoming episode of Doctor Who by voicing a skeletal, alien warlord named Fisher King. The creature—which you can see right here via the BBC—will be played by Neil Fingleton, who is the the U.K.'s tallest man at seven feet seven inches tall. "We needed an awesome roar for the Fisher King. We asked Corey if he might like to do the honors. He was completely up for it...He has one of the most well-known screams in the history of music. We now have the most incredible roar for our incredible monster! He now sounds as terrifying as he looks." You'll be able to hear the Slipknot scream in the fourth episode of the current Doctor Who series, set to air on October 10.